We recently attended the SHAPE American Eastern District conference in Vermont. 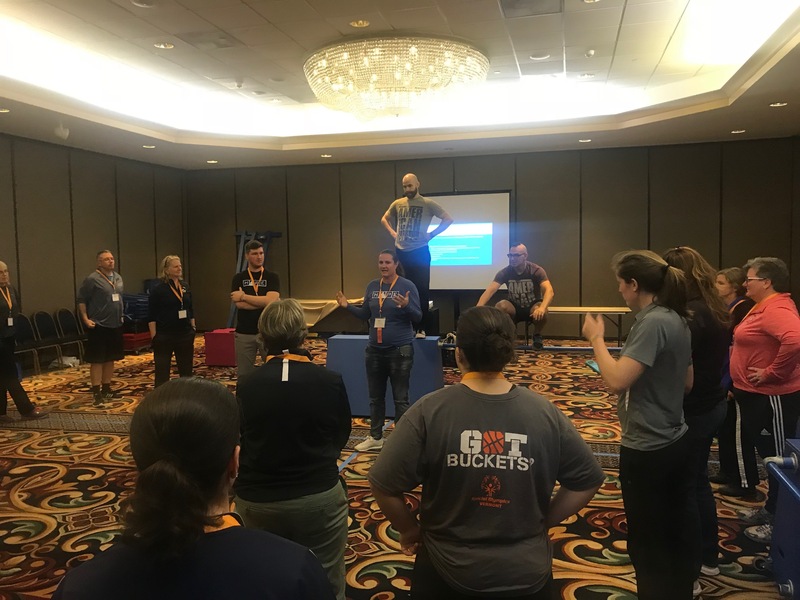 For those unfamiliar, SHAPE America is the Society of Health and Physical Educators – its members include a wide variety of people from Health and Physical Education: teachers, administrators and directors of health and physical education. We were fortunate for the opportunity to be part of DCPS’s Presentation Session “Por qué Parkour” in which their aim was to show why Parkour is a perfect fit for Physical Education classes in schools. Miriam Kenyon, Director of Health and Physical Education for DCPS lead the presentation saying why she felt that Parkour was such an excellent choice for school PE, including how it replaces the many skills that are lost by not teaching gymnastics, but does so in an even better way than gymnastics is capable of doing. She then handed it off to Ryan Walker, PE teacher at Kelly Miller Middle School, who helped write the 8 week Parkour curriculum in use at every DC middle school. He explained how the unit is introduced and implemented, letting other teachers know how feasible of a solution this is for increasing engagement among students. Ryan even made this awesome video of his kids. 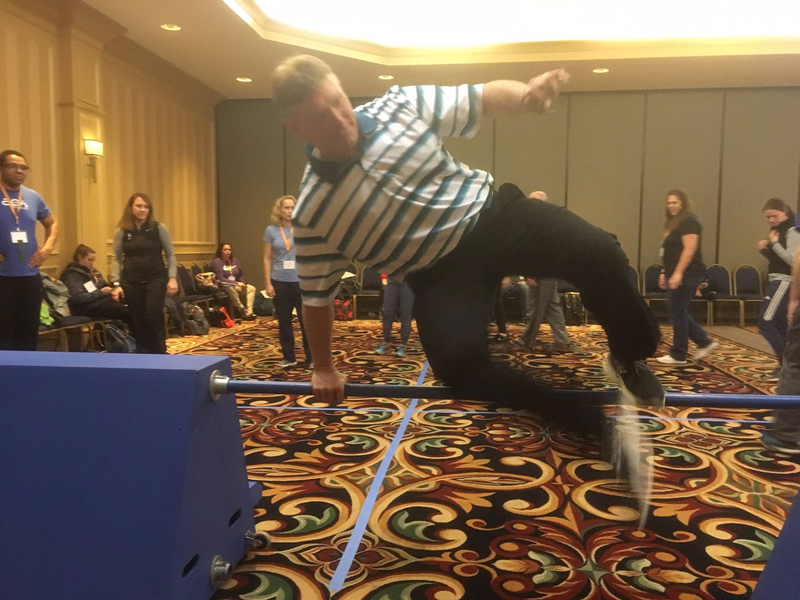 APK’s Travis Graves lead about 25 people through an interactive session which was even attended by the Physical Education Teacher of the Year Doug Hallberg! There were also about 15 teachers and administrators who attended on the sidelines, showing great support for the initiative, including the President Elect of the SHAPE Eastern District, Sally Nazlerod. At our booth, APK’s Operations Manager Matt Caraballo worked to share the details and benefits of our programs with conference attendees. 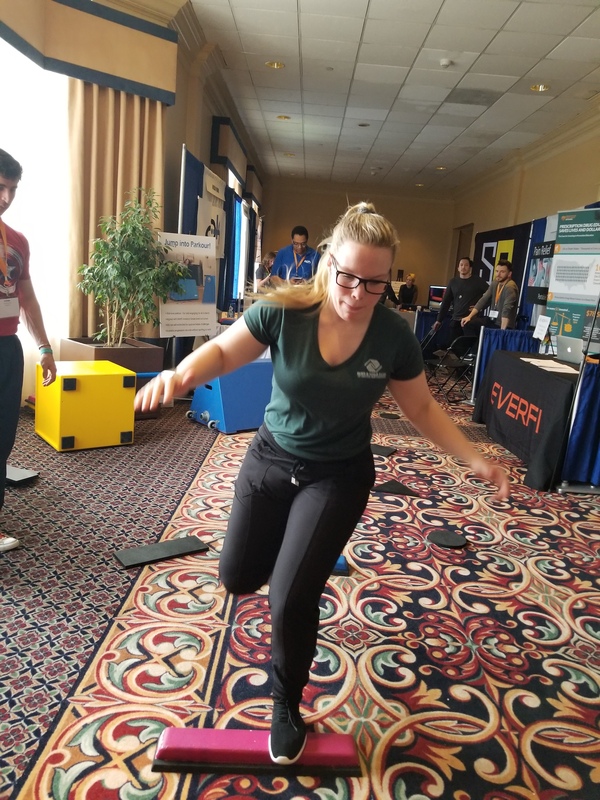 Travis and Mark lead people through various parkour drills and games, and anyone who passed by the booth was alerted that “The Ground is Lava” – very few people can resist such a challenge, and people were very enthusiastic overall about our program. We will be following up with several groups who showed interested in implementing parkour in their schools and regions!